As promised, Apple has released the iOS 12.1.4 update with a critical software patch for all eligible iPhone, iPads and iPod Touch (6th Generation). Last month, a bug was discovered in FaceTime app, wherein a user part of the group video chat or in one-on-one FaceTime call can eavesdrop on others even if they haven't been connected to it. Just by calling the person, the caller can hear everything on the other side even if the receiver hasn't accepted the call. The FaceTime bug opened the mic on the other iPhone and apparently helped the caller to listen without permission. This issue got blown out of proportion in the media and Apple, a strong advocate of the user privacy received bad publicity for oversight on a bug unlike Facebook, which had a flawed security policy. Considering the severity of the issue, Apple immediately disabled FaceTime app and fixed the issue from the server side with a few days and now, it has released iOS 12.14 with a bug fix for Apple devices. 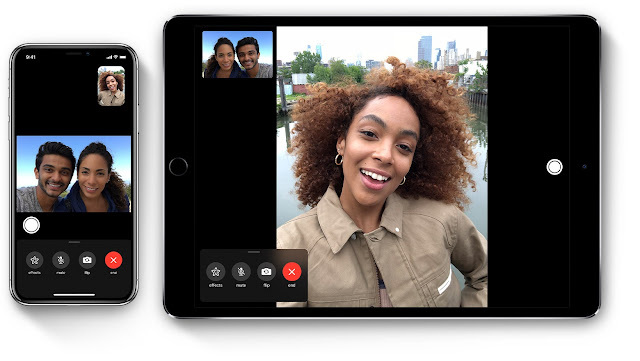 Apple has claimed that its engineers did a thorough audit of the FaceTime and have made improvements in terms of security and also fixed a previously unknown issue in Live Photos feature in the FaceTime. Note: Users' who want to install the update directly on the device via OTA, make sure to clear enough device storage space and also make sure the device has more than 50% battery life, before downloading the new OS firmware. 1. Back up your iPhone or iPad with either iCloud or via iTunes. 2. Launch iTunes on your Mac or PC. 3. Make sure you're on the latest version of iTunes. Go to About and then Check for Updates or visit iTunes.com. 4. Plug in your iPhone, iPad, or iPod touch if it isn't already. 5. Click on iPhone, iPad, or iPod in the top left navigation. 6. Click on the Check for Update button in the first section that contains information about your device and alternately you can click restore instead if you'd like to do a clean wipe with updated software. 7. An update should be recognized, click on Download and Update in the popup menu and agree to any terms or conditions. 8. Unlock your device with your passcode if prompted in order to continue with the upgrade.